The issue of value-based management is present in many areas of business and management. Value as an economic category determines strategic choices, the investment attractiveness of business models, competitive advantage, and the effectiveness and efficiency of the organization. Value is a key factor that determines the occurrence of business transactions. It is subject to valuation in terms of company purchases and sales, mergers or restructuring. It determines the rationality of designing business models. A value proposition is a factor that determines whether a company with a particular business model will succeed or not. Value is also important in non-profit organizations and building smart cities. It is everywhere. The exchange of value is the basis for an economic and social approach to the modern economy. The dynamic perspective of value-based management is particularly evident in the emergence of new concepts related to the Digital Economy. New trends in value migration, value capture, and value retention are the features of a network economy, where the exchange of value has not only an economic aspect, but a social aspect above all. Difficulties in valuing companies in the digital economy are unambiguous. Intangible values are currently a decisive factor in shaping the approach to building new and innovative business models. 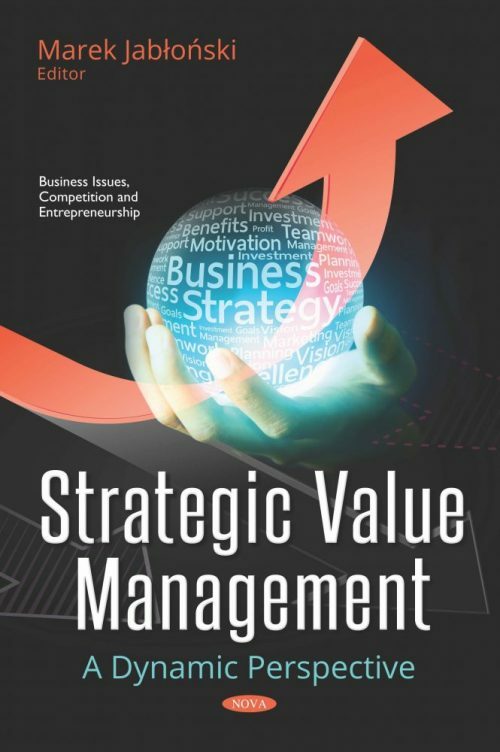 The reason for deciding to produce a book entitled Strategic Value Management and the Dynamic Perspective was due to the great interest in scientific research concerning this area. Substantial needs in the field of discovering the determinants responsible for effective value-based management also result from the needs of business practice. Therefore, the monograph issued to the readers is highly interdisciplinary. It presents the findings of scientific research and the analyses of authors from many research centers. 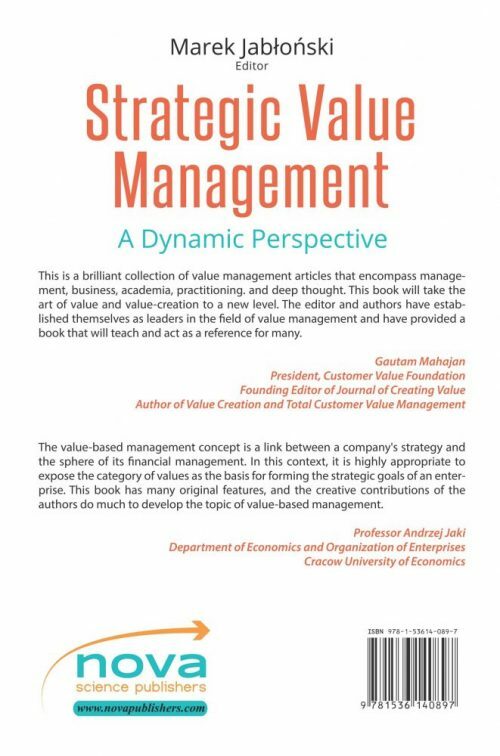 The authors of individual chapters, indicating modern trends and directions of the development of value-based management, prove how broad the concept is and how important it is in terms of contemporary management. This book is intended for management theoreticians and business practitioners interested in effective value-based management in a dynamically changing environment. It can also be an inspiration for business consultants in terms of the implementation of the modern concepts of value-based management in modern companies.